Your barking dog may be driving you and your neighbors over the edge, but as a loving owner, the idea of a shock collar to improve behavior and decrease barking seems too extreme, right? Luckily, there are now other options to help you control your dogs barking. A citronella dog collar is a relatively new addition to the anti-barking tools that have long been used to quiet barking. Unlike other more invasive anti-bark collars, the dog bark collar is safe for dogs of all sizes and very humane. 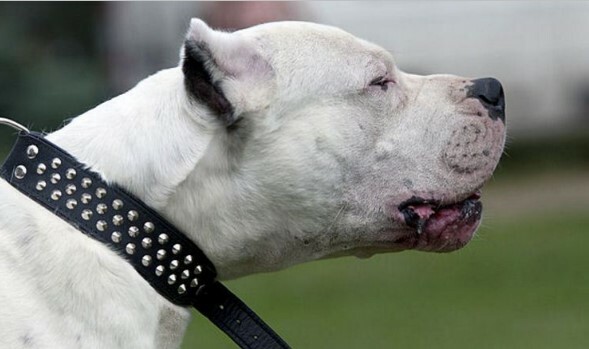 You may read more about the dog bark collar from DogCollarZone.Com. The citronella dog collar works by spraying a small amount of citronella in the face of the barking dog. The collar is able to detect that the dog is barking, usually with a vibration sensor, and then the non-toxic chemical is sprayed quickly, but adequately in the face of the dog. It may still not seem like the most loving thing to do to your pet, but it’s much more humane than shocking your dog, or going to other extreme measures. And, citronella really is harmless it just smells bad! In fact, the smell of citronella is exactly why the citronella dog collar works so well. When the small puff of citronella is puffed into the dogs face, the experience will be very unpleasant. The chemical will last just long enough to stop the barking and allow the dog to associate barking with an unpleasant experience. Although many scientists speculate that a dog has no real long-term memory, they are able to associate certain behaviors with specific consequences over time. So, your dog will be less likely to bark once he has begun to associate his behavior with the unfavorable consequences, and hopefully, he will alter his behavior, as most dogs do, to avoid the smell of the citronella. After a short period of a couple days or weeks, most dogs can resist the urge to bark as they anticipate the spray of citronella. Many owners report having to use the citronella dog collar just a few times before they see a permanent or long lasting improvement from the dog and his barking patterns. If your dog happens to lapse into bad barking behaviors again after a few weeks or months, put the collar back on, and you’ll likely see another lengthy improvement in barking. Of course, you’ll never stop barking altogether. Barking is natural for all dogs, no matter if they are primarily inside or outside dogs. A dog only has one real means of communication, which is barking, especially when it comes to other dogs. So, if your dog barks occasionally at a passing dog, person, bird, or car, don’t give him too hard of a time. But, if the barking becomes routine it’s time to strap the citronella dog collar back on and teach him that he needs to keep it under control to keep the peace with the neighbors. A citronella dog collar really is an effective, humane way to control barking. So, if you are at the point where you know you need to break the barking routine, this may be a great way for you quiet the yard and the neighborhood. You, your neighbors, and your dog can benefit from this type of c collar; it may very well change your life!